Greek has amazing cuisine for every traveler, but it can be overwhelming for first-timers in the country. We’ve compiled a list of the best places to check out for amazing food and drinks that will be sure to make your trip memorable. Argo in Firá – here is where you’ll have your memorable sunset dinner gazing over the caldera. Both a high-class destination and an environmentally-conscious kitchen, make sure to try their Santorini fava and Argo’s specialty patatina. Katina’s Tavern in Ammoudi – head to the port below Oia for the best seafood on the island in this spot favored by locals. Widely regarded as the best restaurant in Athens. Spondi has two-Michelin stars (one of two in Athens the other being Funky Gourmet) and has won numerous other awards and appeared in several ‘best of’ lists. Another amazing option for top-quality beef souvlaki in Athens. Open since 1950, Kostas is a local Athens street food favorite and high on the list of many hungry visitors. When open, lines of souvlaki lovers spill out the door and onto Agia Irini square, making the tiny stand hard to miss. The menu at Catch Bar Restaurant consists of traditional comfort-food classics centered around Greek and Mediterranean cuisine. The restaurant is on two floors, the upstairs offers open air seating and the main floor has an open roof concept. A great option for sushi lovers, or travelers just looking for a beautiful sunset cocktail. It is located in Oia. Nice Cream in Athens is where you will taste one of the most delicious gelato in the city made from fresh ingredients and without the use of any preservatives. They serve a lot of ice cream flavors and every week there is a new flavor to try. You should definitely try Spiroulina. Apart from ice creams they serve delicious coffee and cakes. The shop is very nicely decorated and the staff is very friendly and polite. An amazing option for travelers visiting Santorini. Head over to Santo Winery where you can try a range of delicious Greek wines, olives and bites to nibble on. It’s a great way to spend a lazy afternoon. This is a very common dish that can be found practically anywhere, but it is something you absolutely must try when in Greece. Plus, its a great healthy option for the food-conscious health traveler. Maybe the best place in all of Greece for a traditional dish of Moussaka. This is a traditional eggplant/potato based dish which is often served with meat. 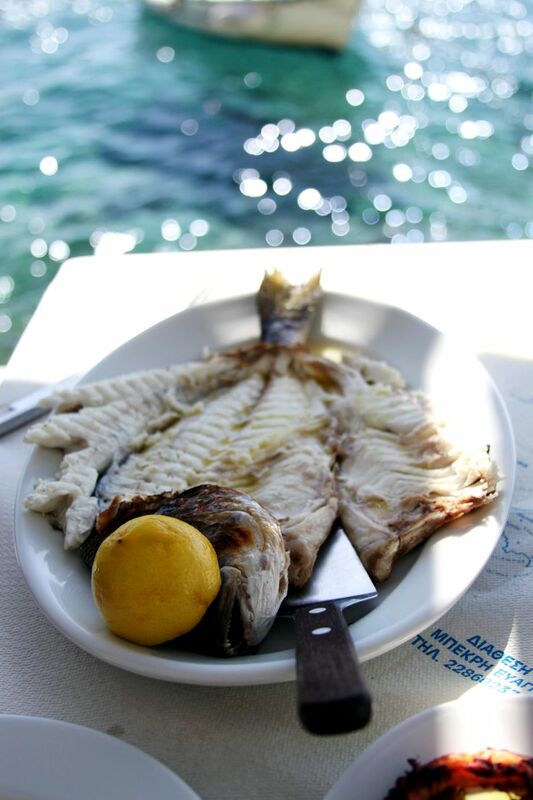 It is a definite must-try for anyone visiting Greece!